Clearing out old merchandise to make room for new. 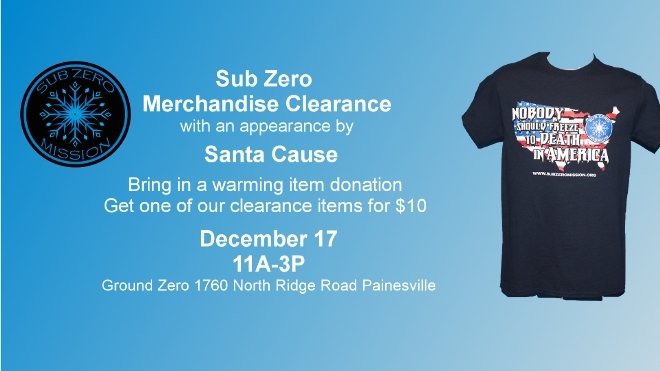 The Sub Zero Mission HQ Clearance Sale. Come meet Santa Cause. Drop off a warming item donation and buy an older clearance item for only $10.